Graduated from the faculty of medicine in Paris. Former medical extern of Paris hospitals and former pediatrician converted to internal medicine. 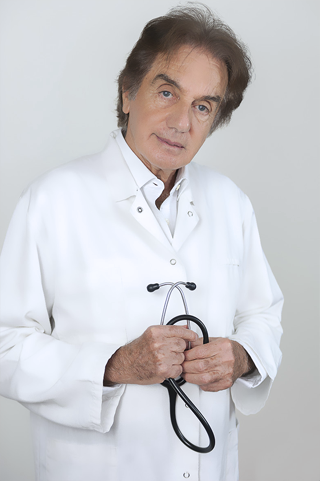 He is a specialist in preventive medicine, anti-ageing medicine and anti-stress medicine. The bedside book of the well-being, which answers all the questions you ask yourself on what you have to do to remain healthy and prevent the risk of health accident and bad ageing. Doctor Bensabat was the student of Hans Selye, the very first expert regarding stress. Specialist for investigations on the factors of ageing and personalized anti-ageing prevention. The doctor feels always sorry and often less efficient facing the “fait accompli”, once the disease is already well established. This is the reason why I chose very early medicine prevention, which is the most effective solution to prevent and neutralize the process of degradation responsible for the disease and for bad ageing. 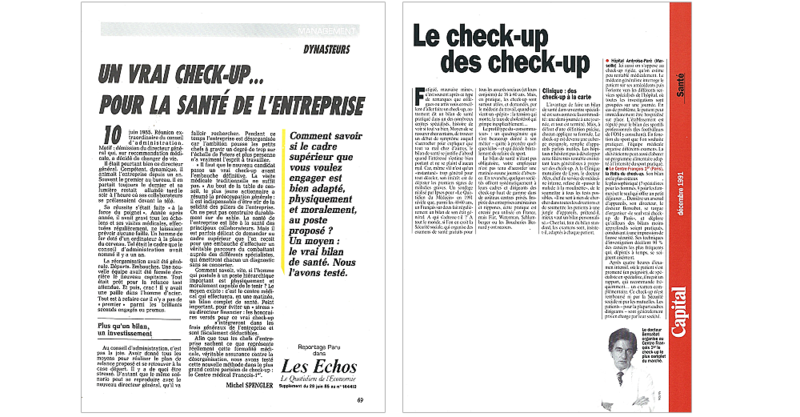 For more than 30 years of prevention medicine and practice of thorough health checks, I can confirm today the efficiency of the prevention and the periodic check-ups of health. Thanks to those chech-ups, we managed to invert harmful processes and diminish strongly the risk of pathology and bad ageing for our patients. It is a satisfaction and a strong motivation for our patients and for ourselves.